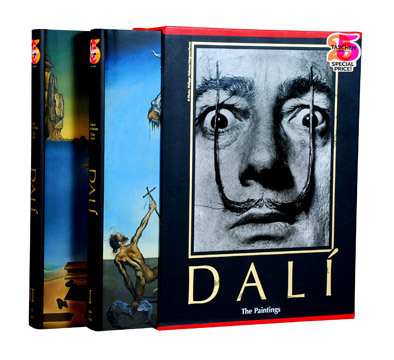 This would be an Ideal gift for my loved one, since he Is a big Salvidor Dali fan. The book is named "Salvidor Dali: The Paintings" by Robert Descharnes. I found It through MoMA's online store so I haven't had a chance to actually see It In person.